Since the legalization of cannabis in October 2018, several university and college campuses across Canada have created cannabis-specific smoking policies—but Ryerson University will not be one of them. Last semester, Ryerson president Mohamed Lachemi told The Eyeopener that Ryerson’s cannabis policy would be announced in December. However, according to a January statement from Ryerson’s public affairs office, the university will not have a cannabis-specific policy. The Smoke Free Ontario Act (SFOA), passed in 2017, prohibits using e-cigarettes for tobacco or medical cannabis in any enclosed space. Ryerson’s cannabis steering committee has been examining policies and procedures, as well as health promotion programming to ensure Ryerson is “ready for the changes” that may occur due to the legalization of cannabis, according to president Lachemi. 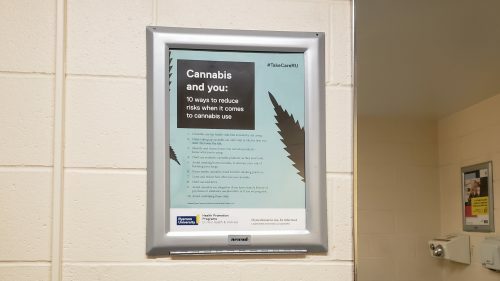 According to Ryerson Public Affairs, “the [Cannabis Steering] Committee has representation from various administrative units across the university.” This includes administration and operations, residence life and housing, student affairs, environmental health and safety, community safety, facilities management and human resources. Brett Porter, a first-year Ryerson student, said he is personally concerned about the dangers of secondhand smoke. Porter said he also believes the lack of specific policies on cannabis use can have other repercussions. “I think a bigger issue is that if [Ryerson] tried to punish someone for using weed on campus without clearly defined policies,” said Porter, a professional communications student. “People may get themselves into trouble without knowing what rules they’re actually breaking,” he added. Ben Bridgstock, an addictions counsellor and director of student support services at Algonquin College, said the policies regarding cannabis use on campus offer a form of protection against impaired students operating in the classroom. Algonquin College is one of several post-secondary institutions in Ontario with a smoke-free policy, including the University of Toronto and George Brown College. Although Ryerson doesn’t have a specific policy, there are still rules in place regarding cannabis use. In accordance with SFOA, Ryerson’s website outlines that it is illegal for anyone under 19 to possess or consume cannabis on campus. Ryerson community members are also prohibited from smoking cannabis inside any residence buildings or Ryerson buildings. 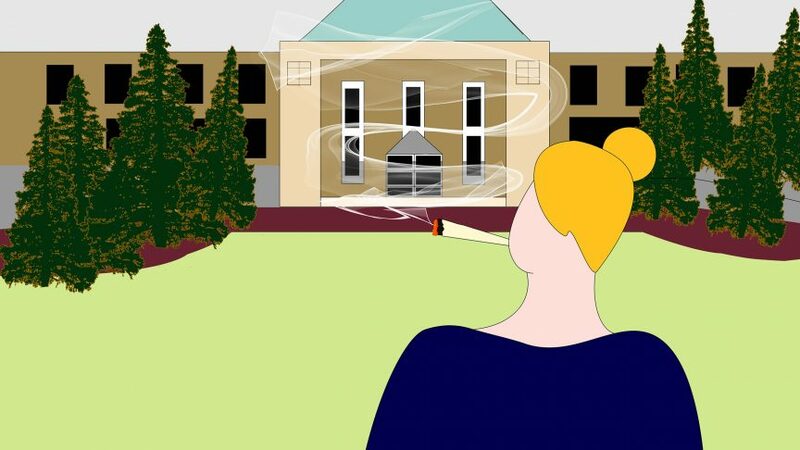 If students choose to smoke cannabis on campus, it must be nine metres away from any exits or entrances to a building. 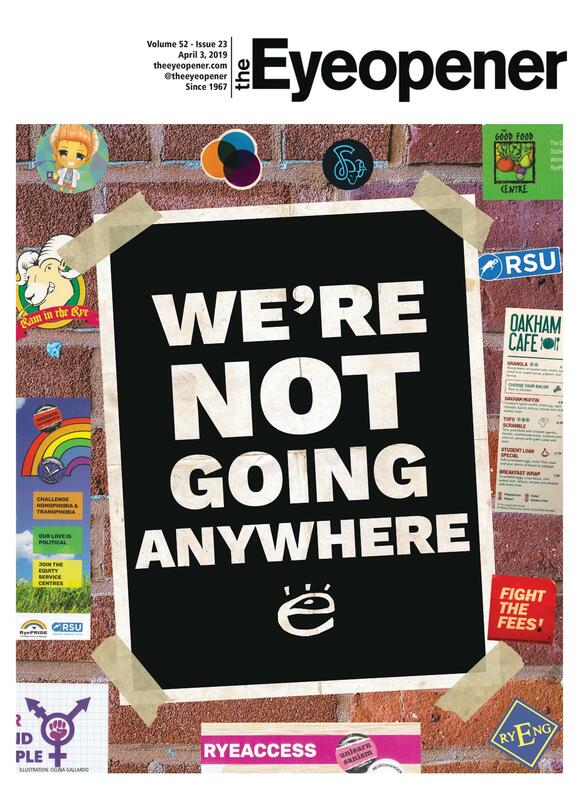 “I have noticed there are other campuses that have much stricter policies—[not allowing smoking anywhere] on campus at all—which I was thinking about,” said Todd Girard, a psychology prof at Ryerson University and expert on the effects of recreational drug use and mental health. In regards to next steps, Girard suggests Ryerson continues what it is already doing. “I have seen that there’s been a ramp up of harm reduction and drug awareness campaigns which is important. I’m definitely in support of that,” said Girard.